On Monday, Galaxy forward Tristan Bowen was one of 18 players named to the U.S. Under-20 National Team for the upcoming Torneo de las Americas in Kennesaw, Ga. Thomas Rongen’s team is scheduled to report to camp starting on Sunday, November 21 before opening the three-team, round robin tournament against Colombia on Friday, November, 26 and then facing Mexico on Sunday, November 28. 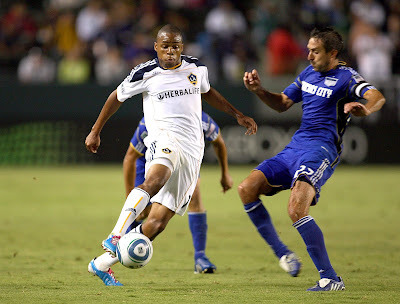 Bowen, who has also played for the U.S. Under-18 National Team, played in 17 regular season games for the Galaxy in 2010 while also playing in both of the club’s CONCACAF Champions League games and the U.S. Open Cup Third Round win over AC St. Louis. Bowen had two goals and two assists in the regular season while also adding a goal in the friendly win over Boca Juniors. This is his first inclusion with the U.S. U-20’s since a three-game trip to Spain in November 2008. If the Galaxy advance to MLS Cup in Toronto, Bowen would not join up with the U-20’s until after that game, which will be played on Sunday, November 21. As a result of being in this camp, Bowen will not accompany the Galaxy to Australia for their friendly against the A-League’s Newcastle Jets on Saturday, November 27.